Owner, Craig Bosmans started Coastal Fiberglass to make an impact on the marine industry. 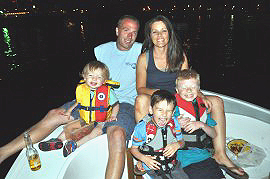 Growing up on and around boats Craig developed a passion for being on the water. Today he regularly travels up to 75 miles offshore to go fishing. Needless to say he realizes the importance of having your boat in perfect working order. Craig centered the business around a simple philosophy, “Treat people like you want to be treated.” Therefor he does not charge by the hour, he charges by the job and does not vary from his estimates. So you get no surprises when you pick up your boat. He takes pride in his work and stands behind it.